Another top family vacations destination are the natural pools in Tuscany, Austria, French Pyreness and other such locations. Compared with a chlorinated hotel swimming pool, a dip in a natural pool feels like swimming in Evian and thankfully European hoteliers are recognizing the draw of these natural, eco-friendly alternatives. 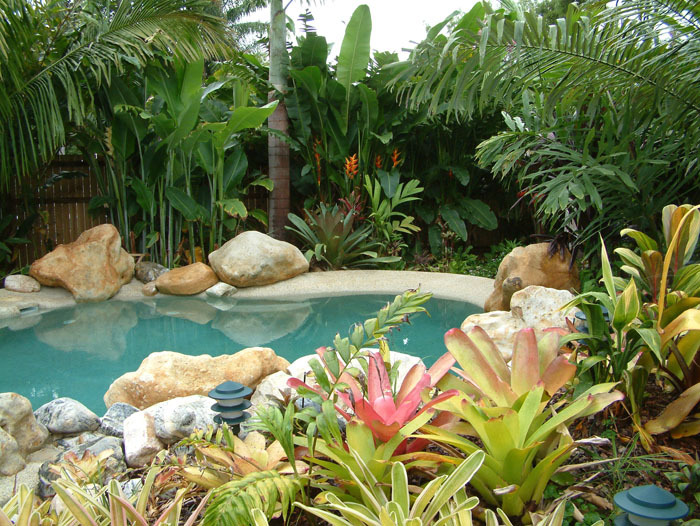 Designs vary, but natural pools all work on the same premise: a wall separates a foil – or rubber-lined swimming area from an acquaticplant garden, whose marsh plants and sand act as a natural filter for oxygenizing and cleaning the water. Here are four of the favourites. On the large lawn by the water’s edge at Casanuova, you can sunbathe to the sound of frogs croaking while butterflies dart among the reeds. Then it’s just a 200m towel-covered stroll back to the organic farm on the hills above the Valdarno, the valley of the Arno River. Plants and wildlife dominate the estate: ivy, wild vines and roses cover the walls while oleander bushes, oranges and bergamot grow everywhere. You can stay in one of the fifteen rooms in the beautiful farmhouse or in two apartments, 800m from the main house on the edge of the small hamlet of La Bifolca; both will give you access to this wildlife oasis. 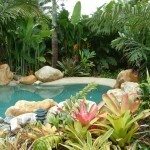 Dragonflies hover overhead as the sun-warmed water laps against the pool’s plant-lined rim. Beyond the rolling green hills, mountain peaks shimmer in the heat of the day. Here at Chaumarty, a three-room eco-gite south of Toulouse in the approach to the Pyrenees, the bassin de baignade (natural pool) is exquisite, irises and papyrus surround it, plus there’s a diving board and a smaller pool for children. Adjacent to the pools is a large terrace where you can admire the mountain panorama. Organic vegetables come from the kitchen garden, solar panels heat the water, and all the waste is separated, reduced and recycled religiously. Au naturelle. Another top family vacations site is the Schwoich’s Banana Bake in Austria. Below Mount Poelven at the edge of a pine forest, Schwoich’s banana-shaped lake was Austrian Tyrol’s first public natural bathing pool. From its wooden jetties and pebble beach you can enjoy a refreshing dip in the crystal-clear water with wonderful views of the surrounding mountain slopes. The average water temperature is 22 degrees centigrade, which is usually warm enough for young children. One of the best places to stay nearby is Ferienwohnung Steinbacher, a self-catering farmhouse apartment in Schwoich, where you can buy organic eggs and milk from the farm. Well what else would you call it? It is a campsite, after all, though expect more than just sleeping bags and roll mats. Hand-made beds, solar lightning and lazy chairs all come as part of the package at this luxury, five-yurt camp in oak woodland overlooking the green Aveyron Valley, about an hour northeast of Toulouse. Pride of place, though, is the 20m-long natural swimming pool, with a gently sloping beach that’s a perfect distraction for kids – once they’ve grown tired of playing in the big sand pit, helping to feed the chickens and patting the resident pig. 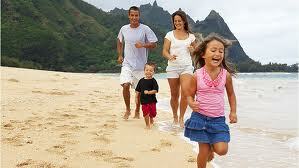 What a wonderful top family vacations plan. Everyone looks forward to their yearly family vacation, but sometimes you may get stuck in a rut, just visiting the same old destination every year. I’ve put together a list of a few places to go on a family vacation that you might consider for your next family trip. Great Smoky Mountains National Park, located in Tennessee and North Carolina. Mysterious and haunting, these mountains are home to many species of wildlife such as deer, wild turkeys, ruffed grouse, quail, and black bear to name a few. When to visit? Well there really is no wrong time of year to visit this park. However, in the peak season of July and August you will find that traffic may be a bit slow. Keep in mind that winter temperatures can vary from moderately cold to extremely cold. There are many hiking trails for exploring and camping areas, and you can also bike, fish, ski, or go horseback riding. A truly beautiful place to visit. Historic Gettysburg, Pennsylvania, site of the most famous battle of the Civil War, and of course where President Lincoln delivered a 2-minute speech, the famous Gettysburg Address. Summer months and weekends are peak times for this popular family travel destination. If you want to visit in the off-peak times, crowds should thin out after Labor Day. Explore the Gettysburg National Military Park and combine your visit with a trip to the Pennsylvania Dutch country. Cape Cod, Massachusetts, a ruggedly beautiful coast with towns and farms dating from Colonial times. Many visitors to the Cape prefer to enjoy one of the many delightful bed-and-breakfast hotels. You will want to visit Martha’s Vineyard, Nantucket, Cape Cod National Seashore, and perhaps the Cape Cod Museum of Natural History. Dining is wonderful if you like seafood, as you will find a wide variety of fresh fish and shellfish. San Francisco, California, is one of my favorite cities. Bordered by the Pacific Ocean, the Golden Gate Strait, and San Francisco Bay, this city is actually only about 46 square miles but wow is it packed with sights. If you are wondering when to visit, you can’t go wrong weather-wise, as the climate is quite lovely year round. What to see here? Oh so much! The cable cars cannot be missed,the Golden Gate Bridge, Chinatown, Alcatraz, Fisherman’s Wharf, Nob Hill, Sausalito, Union Square, and just too many amazing areas of this city to name. It’s a great city to explore by walking, and a an absolutely wonderful place to do some people watching. Photo opportunities abound. Orlando, Florida, home to Disney World of course. There is also Universal Studios, Islands of Adventure, Sea World, and many water parks to enjoy. There is also a lot more to Orlando besides the theme parks including numerous lakes, springs, museums, and historical areas. Depending on when you visit, you may find an art or craft festival going on. These places should give you ideas of destinations for your next family vacation and help you in planning your next great family trip. It’s a great way to bring the whole family together and have the best family holidays and yet still have time alone with your spouse while the kids-only activity coordinators take charge of your children’s fun. The first step to putting together great cruise packages is to find a reputable travel agency that specializes in cruises, or a similar cruise vacation internet site. Before making contact with either, you should make note of a few things before-hand. For example, when you would like to leave, where you would like to travel to and from what port would you like to embark and disembark from. Putting together cruise holidays can be made much easier providing this information when contacting a travel provider. Unique Cruise Packages Vary Depending On the Time of Year. If you’re limited in the time of year you can get away then you’re also somewhat limited in your destination. You can’t, for instance, take a cruise on the Kenai Peninsula of Alaska any time during the year. Europe has about the same seasonal restrictions as well. If you’re planning on heading out in the spring or fall you might want to consider an excursion up and down the Panama Canal. 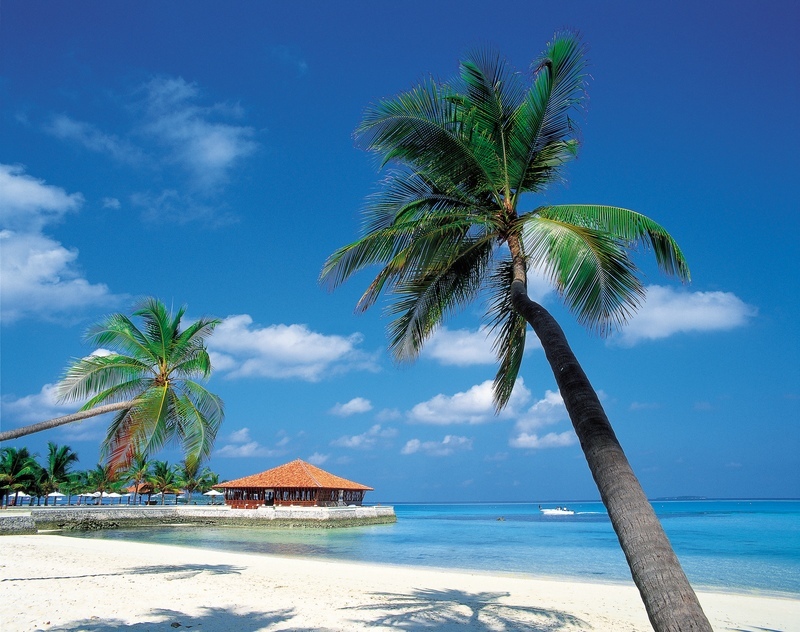 Just about any time of year, including the winter, you can cruise to Asia or the Caribbean. You should determine exactly what members of your family are going when selecting cruise deals. Knowing if children or seniors will be a part of your vacation group will help determine what cruise will offer the best choices that suit all members of your party. In fact, it’s best to gather everyone together and or conduct a phone or e-mail discussion of what everyone would like to do and where they would like to go. • Is on board entertainment and activities a priority? • How many in your party would like to lounge by the pool? • Who wants to get off the ship and explore at the first land stop? • Who prefers exotic locations and who would rather just play shuffleboard? All things to consider beforehand when booking cruise packages. The size of the ship can be important as well. Larger ships have a vast variety of entertainment options, such as dancing, stage shows, activities and more. Smaller ships may provide a lower guest to staff ratio, and thus more personal attention to your needs. There Are Endless Cruise Packages to Choose From – Any Time of Year. Budget for your holiday and prepare for just how much you and the others can spend. If money is a critical factor look for discount cruise incentives for booking early, or starting out on a different day or different week from your original request. Staying flexible can save you a considerable amount of money. Be sure to ask about additional port fees and taxes as well. Depending on who you are dealing with, these additional costs may not be included in the quoted cruise cost and may cost you dearly. The majority of cruise packages do not include additional gratuities for staff. It is customary to tip room stewards and wait staff, normally automatically debited from your shipboard account. If you’re not going as a large group and you might be interested in getting to know your fellow passengers, then be sure and inquire about the usual demographics of these travelers. If you’re 20 something and it’s a baby boomer cruise that you are booking, then you may become bored. If you bring your grade school and most of the other kids are in their teens, they won’t have enough playmates and you’ll be their entertainment for the extent of the cruise. Narrowing down your search for that perfect cruise for you and your family will save you a great deal of time. Formal cruise packages to informal, cruises are designed today to suit any individuals taste and or budget. So what are you waiting for, start searching for cruise specials today and have yourself the best family holidays!